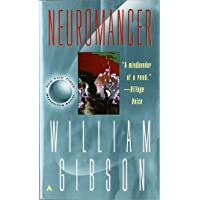 **William Gibson**: I’ve read Neuromancer so many times the book has nearly fallen apart. I like how he describes things enough to get a vivid image in your head but not with such numbing detail you get bogged down. Plus, how can you deny the guy who coined the term “cyberspace?” I’ve read all of his books and I have yet to find one I didn’t like. Richard K. Morgan: Morgan has created a future world where your personality lives in a “cortical stack” at the base of your skull and a character named Takeshi Kovacs is an ex special-forces soldier turned investigator for hire. Action packed and a really fun read, Altered Carbon is the first book in that series. Tom Clancy: Clancy’s sort of hit-or-miss. I’ve read some of his books that just take freaking forever to get where they’re going, but others are really exciting. Most of the books revolve around a modern-day wartime environment. I particularly liked Rainbow Six. Jeff Noon: Noon writes in a very distinctive style that seems to resonate for some folks but not as much for others. If it works for you, it really works, and the books are amazing. His primary series revolves around a world where we exchange objects between our world and a parallel world and what comes back is a powerful hallucinogenic drug… that you take by sticking a feather in your mouth. If you think it sounds weird, you’re right, it is… but it’s a very compelling universe, too. 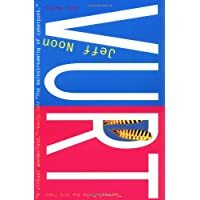 The first book in the series, Vurt, brings with it the added challenge that it’s written in an invented dialect so it may take a bit to get into, but give it a shot. when I was done with it, I immediately flipped back to the first page and read it again. but it was so good I have to include him here. In this particular book, the world is a place where crime is a form of recreation and time travel is possible. It’s admittedly a little convoluted, but a really fantastic read. Philip Pullman: Specifically, Pullman’s “His Dark Materials” trilogy which starts with The Golden Compass (also made into a movie). In this world, your soul is physically embodied as a “daemon” - an animal that travels with you. When the movie came out a lot of stink got raised about the social commentary on organized religion that these books present, but I really feel like that was a lot of crap. Is there some commentary? Sure. Is it as important or prevalent as the folks out there would like you to think? I don’t think so. This is another set of books I’ve read several times and enjoy every time. Frank Beddor: I am an Alice in Wonderland freak. I love the story, the characters, and I love imaginative derivatives of it. 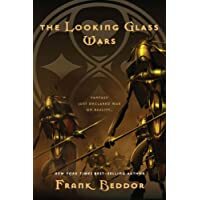 Beddor has created my favorite reimagining with his “Looking Glass Wars” trilogy - the idea being that Wonderland is a real place and Alyss Heart is a real person who ends up crossing into our world and getting trapped. Not difficult reads but some of my favorites. There’s even a soundtrack that goes along with them. Neal Stephenson: Again, sort of hit-or-miss for me, but I can’t recommend more strongly that everyone read Snow Crash. Where else would you find a place where pizza delivery is controled by the mob and it arrives at your house via a guy you refer to as “The Deliverator?” Cyberpunk action at its finest. Neil Gaiman: Is there a “favorite authors” list Gaiman isn’t on? Every story is different and imaginative in its own right, but my absolute, all-time favorite, and one that I have yet to find anyone disappointed with, is his collaboration with Terry Pratchett: Good Omens. Of course, if you were offended by the “commentary” in Philip Pullman’s “His Dark Materials” series, Good Omens is probably not for you… but otherwise it’s a must-read. Douglas Adams: The Hitchhiker’s Guide series are some favorites for me (and a ton of other people) and I’ve loved them since I was a kid. One of the best birthday gifts I’ve gotten was a leather-bound copy of the first four books in the series. I’ve read them, listened to the audio books (on tape! ), seen the movies/TV shows… I can’t get enough. Truly funny stuff. Max Barry: You also might see him listed as “Maxx Barry” but he seems to have changed that in recent times. 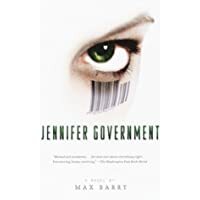 I discovered Barry through his book Jennifer Government: Welcome to a place where enterprise has taken over enough that your last name is the name of the company where you work and a shoe manufacturer tries to earn “street cred” for his shoes by killing people who buy them. His subsequent efforts are no less interesting or imaginative. Barry’s another one where I’ve read all of his books and love them all. If you’re looking for something new to read, maybe check some of these out. If you do, drop me a line and let me know what you think.